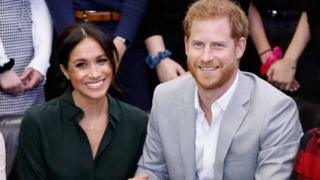 This means that even though the duke and duchess will be living at Frogmore Cottage in Windsor, the US government still expects Meghan to file tax returns with the Internal Revenue Service (IRS) - the US tax authority. US citizens living abroad are obliged to file taxes each year reflecting their income, gifts over $15,797 (£12,080) assets over $200,000 (£152,930) and disclosing any foreign bank accounts and must pay applicable US taxes. It's likely that when Harry accepts any money from his father he keeps his accounts separate from Meghan's to avoid giving the US tax authorities any insight into the Duchy or any other family trusts. But if both royals do give up their status as Americans they won't be alone. Many wealthy and well-known figures have given up their US citizenship and ditched US tax liability. The former foreign secretary relinquished his US citizenship in 2016. He was born in New York to British parents. All children born in the US are automatically US citizens. In 2013 he called the US taxation system "absolutely outrageous" when US tax authorities demand he pay capital gains tax on the sale of his north London home.